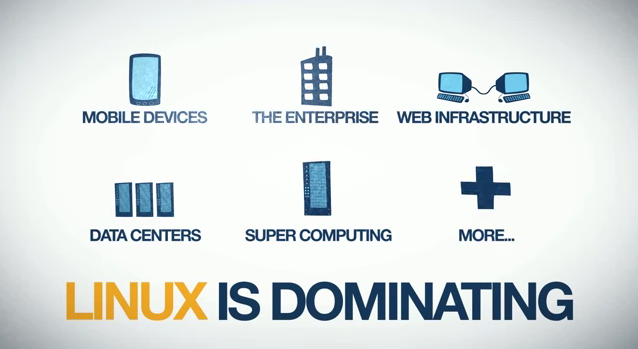 From time to time The Linux Foundation releases a new promotion video about Linux. I like this. Here is the new video that demonstrates among other things, why Linux is dominating. However the creators could mean the kernel only (this is strictly true, but isn’t usual in common language), because Android isn’t really a Linux distribution.